deschutes | Beer Blotter: Seattle based. World focused. 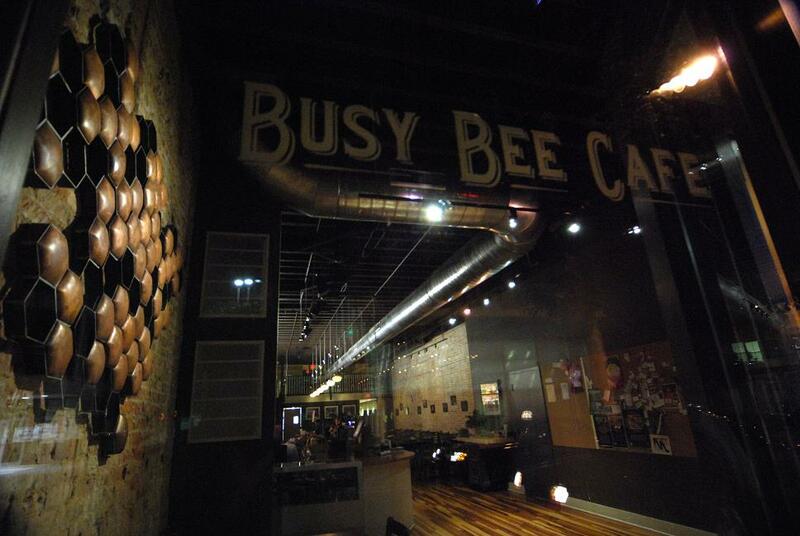 The Busy Bee Cafe: Home to many great beers and beer events! This was a good beer weekend. A trip to Portland entailed Stone, Dogfish Head, Victory collaboration Saison Du Boef; Avery Maraja; Hair of the Dog Fred; Russian River Consecration; Double Mountain Saison and so much more! A trip to a new beer bar Apex was top notch (see our 52 weeks article later) and bottle shop, Beermongers was still impressive and reasonable priced! 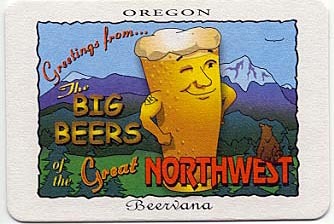 As if that wasnt enough, we partook in an impromptu beer tour of Southern Washington up through Tacoma. With a Dogfish Head Sah’ Tea at Parkplace Tavern in Tacoma and a Lagunitas Lil’ Sumin’ Wild in Olympia, letting go of the weekend was very difficult. But there is a whole week ahead of us and plenty of beer events. Tonight a keg of Captain Lawrence’s new Imperial Porter will be tapped along with two exclusive CL gravity casks: Kolsch & Freshchester(dry hopped with Cascade hops). Dont miss out on this full Captain Lawrence line up, including a couple of new draught additions. Tonight, Naked City features Bend, Oregon brewery, Deschutes. Known for amazing beers such as Abyss, the tap list includes Miss Spelt, Hop in the Dark, Jubel 2010 and Greenlakes Organic Ale. Enjoy! I am really happy to see Hoppin’ Frog, this Ohio based brewery get some love outside of its home state. Tonight, for $20.00 you can taste the following (they are all o’ so good) with some delicious food pairings: Wild Frog Wheat, B.O.R.R.I.S the Crusher Stout Paired with Teriyiaki glazed Wings, Mean Manalishi, paired with Fish and Chips, Silk Porter paired with our Chocolate Tort and Hoppin’ to Heaven IPA. I know we have posted a couple of events similar to this one, but it is so amazing. 25 taps of Bell’s Brewery beers tonight including: Two Hearted Ale (poured from a tap and from a firkin), the Cherry Stout and an ’08 Expedition Stout. SO good….so good. We all know how much we love this place. So lets take this place in all of its glory and throw some Brooklyn Brewing beers on tap. Sold! Tonight, for $12.00, meet Garrett Oliver, head brewer and taste a sample of 5 amazing brews. Granted its not barleywine season. Its summer after all. However, stop by Willard’s tonight and sample some flavorful beers including: Sierra Nevada Bigfoot, Weyerbacher Blithering Idiot, Southern Tier Back Burnner and Avery Hog Heaven (a hoppy barleywine). Now, sometime deliciously appropriate for the summer months, a wheat beer celebration. It’ll be a little more laid back than Busy Bee’s usual beer dinner and is only $35 per person. Enjoy Blanche de Bruxelles, Schneider Weiss, Great Divide Dunkel Weiss, and Terrapin Gamma Ray all on draft for this 4 course dinner! Email info@busybeeraleigh.com for tickets or more info. Whats in stock for your beer future? Plan on attending an event? Want us to post an event? Then please leave a comment or email us at beerblotter@gmail.com! Cheers! Photo Creds to myballard.com. The Noble Fir now open on Ballard Ave.
Visit: Wednesday, June 23, 2010. A visit with friends for a few cocktails. Sole purpose was to catch up with friends and have a chat. Evo IPA Two Beers Brewing Co.
Red Barn Saison Ale The Lost Abbey – Port Brewing Co.
Fox Barrel Black Currant Cider (17.5 oz) Fox Barrel Cider Co. Victory Prima Pilsner Victory Brewing Co.
Laurelwood Organic Red Laurelwood Brewing Co.
Eel River Organic IPA Eel River Brewing Co.
Spire Mountain Dark & Dry Cider Fish Brewing Co. There are also plenty of wines by the bottle and the glass. 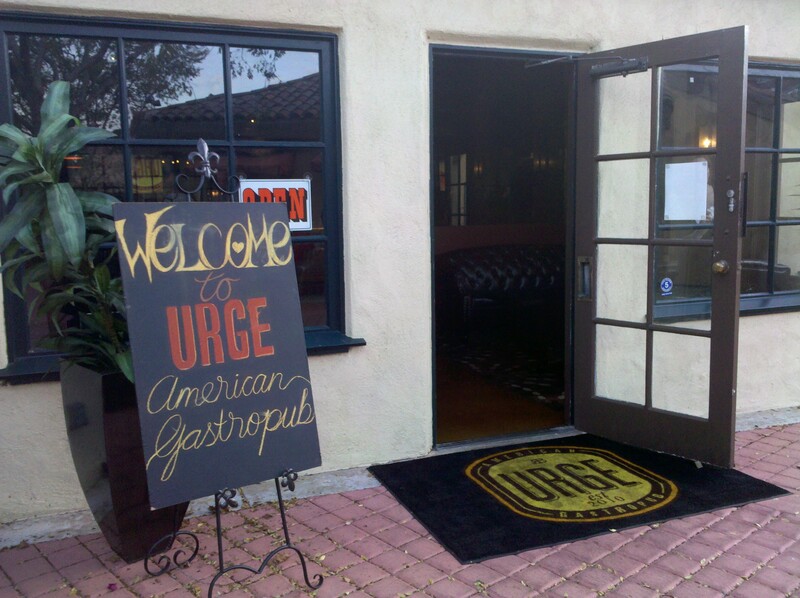 FOOD OPTIONS: This is the perfect place to grab a drink and snack on some delicious cured meats and cheeses. Pick and choose your delicious plate. Fill it with hot coppa, salami, procuitto and various artisan cheeses. Light and delicious sandwiches are available as well as a few dessert options. 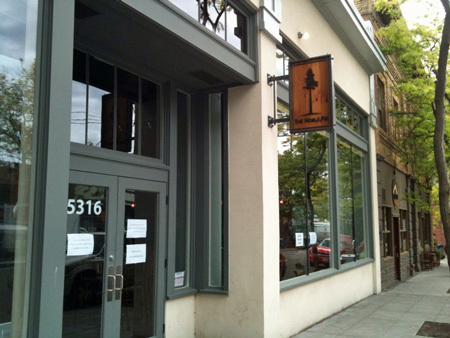 BAR OPINION: Noble Fir is the new kid on the block with so many great restaurants, bars and boutiques on Ballard Ave. I glance up at the sign, a single evergreen tree. The Noble Fir is a western North American fir, native to the Cascade Range and Coast Range mountains of extreme northwest California and western Oregon and Washington in the United States. This bar was opened by Rick and Ellen, after 10 years at REI and 10 years working as an attorney respectivly, they decided to combine their love of the great outdoors with their love of food and drink. Noble Fir was born. This bar brings the great outdoors in. 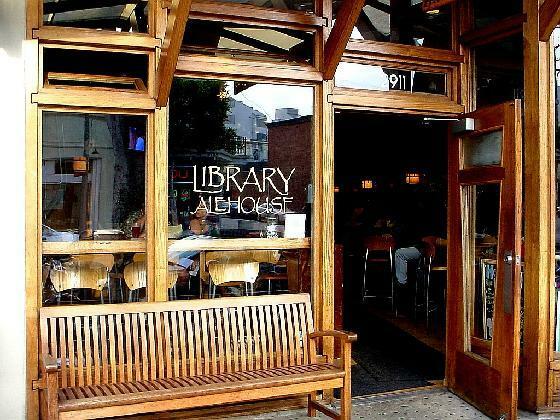 Large windows welcome the sun light as it streams directly into the bar, coating the patrons. Slick wooden booths with a long wooden bar and a bookcase full of travel books, I am ready for an adventure. I immediately grab the beer list. My eyes light up, Port Brewing/Lost Abbey’s Red Barn and Port Brewing/Lost Abbey’s Wipe Out IPA (not listed above) are both ordered and savored over the course of an hour. A pre-dinner drink and appetizer plate would be the perfect complement to a night out. This bar has a pretty damn good tap list with a range of styles and a lot of love to West coast brewers. We only had an hour of so that night, but this bar is worth a trip back and several after that. 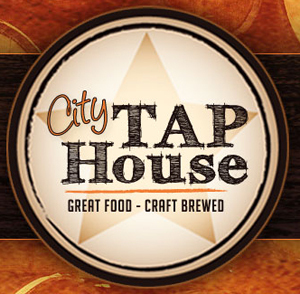 City Tap House in Philly, PA. "Great Food- Craft Brewed"
Is it really Monday again? Sure enough we had a weekend excursion..where to? Wenatchee, WA along with Cashmere, Leavenworth and Ellensburg. Along the way we drank Deschutes Hop Henge and Jubel at the Applewood Grille, enjoyed a German brew at Munchen Haus in Leavenworth and stopped at Iron Horse Brewing Co. for some IPA, Hefe (6%!!) and Biere De Garde. Always a good time. Now, for times to come…. 31 different and rare beers on tap tonight, all from Bell’s Brewing Co. Oh man….this event is amazing. Fresh Hop Slam and Golden Funk, Kal Haven Brett Rye Ale, Black Note and Sparkling Ale, Oracle, Wheat Love, Deb’s Red, Q Falls Lager, or Bourbon Barrel Hell Hath. Can’t get to Belgium? Then just go to this event: 5 rotating Belgian beers on tap. Six specialty bottled beers will also be available. The menu will feature Belgian-inspired dishes, such as Belgian cheese plates, waffles, fries, and salads. Check out Brugze Zot, Saison Dupont, Westmalle Trappiste Tripel and more! Owner of Great Lakes Brewing Co., Pat Conway will be here to discuss and enjoy his beers with you. GLBC, out of Cleveland OH, makes amazing brews, ranging from Blackout Stout to an unbelievable Christmas Ale. Their American style IPA, Commodore Perry and their Burning River Pale Ale are also not to be missed. This $80.00 dinner will be worth every penny….6 courses (including a greeting beer) will be paired with Victory Brewing Co. beers. 8 beers will be tasted including Old Horizontal Barleywine and Wild Devil!!! Enjoy! The beer line up for the Allagash Night will include: Curieux, Victor, Victoria, Confluence, Wit, Interlude, Odyssey, Fluxus 09′, Four and Dubbel. Also, enjoy some smoked brisket with a Curieux BBQ sauce! Check out Johnny Browns for brewer nights in the future. If you don’t have room at home or want to get out to meet other home brewers, this is the event for you! Equipment is available for purchase at the store. But feel free to bring your own equipment to this event. You will have access to electricity, running water, a workbench area and use of two propane burners on a first come, first served basis. As a part of “buy here, brew here”, an area to store fermenters will be provided in shop if needed and access on Saturdays to transfer/rack, and bottle. For more information, call 623-551-9857. New Belgium beers on tap, money spent will go towards The Ryan Family YMCA Step Up for Kids program. Give back on a Sunday while enjoying brews from NB. If they have Eric’s Sour Ale on tap- get it! That’s it, that’s all. Email us at beerblotter@gmail.com or leave a comment if you want to discuss an event, want us to post an event or just want to talk about beer! Cheers! 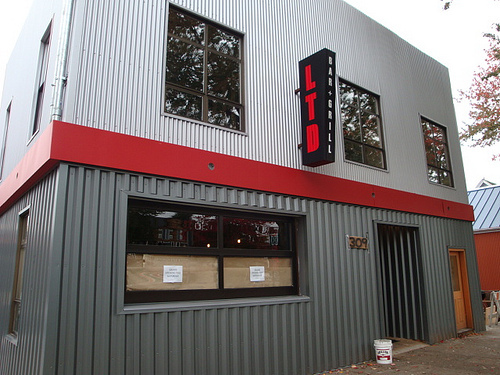 LTD Bar and Grill. Picture courtesy of fremontuniverse.com. Week 14 of 52- we are behind, most sincere apologies. by the end of the week, we will be caught up. and others not worth mentioning. BOTTLE OPTIONS: As far as I know, there aren’t any bottle options aside from your Miller Light, Bud Light, Corona…. FOOD OPTIONS: Your typical sports bar. The wings were above average, the fries were fresh-cut fair style and we promptly doused them in vinegar. The chicken nachos were stacked with goodness. Other than that, expect to see burgers, tater tots and other unhealthy food options. A word about the wings: they are delicious. I believe that they are deep fried briefly and then finished on the grill. They have grill markings and a nice smoky finish. The wings themselves are massive – some of the biggest ever seen. You get 10 in an order at 9.00 (at happy hour they are 5.00 – but you only get 8). This is a great sports bar with at least 10 flat screen LCD TVs strategically placed around the area. We were able to watch an NBA Cavs playoff game and the Dodgers v. the Giants simultaneously. The best thing about the place is that they situate their televisions at eye level behind the bar. This means no leaning back to stair upwards – i hate that. The bartenders were decent. I would not rave about their attitude, but there were a few Midwestern transplants that knew how to treat a paying customer. They will do what they can to get your game on the tube and ensure that you have all the fixings needed for your food. One great option is the shuffleboard. Brand spanking new and almost always available. They also pack a pool table, a massive patio and open and shut garage doors to give you that open air feeling. With an IPA in one hand and a nice, plump wing in the other, you can go ahead and call this a sports haven. It’s nice to see a few regional micro brews on tap at a sports bar. Beer enthusiasts like sports and vice versa. All in all, if you want to catch a game, indulge in food while watching others exercise and NEED a decent beer to do so, then this is your place.